Swedes use about 50,000 tons of cleaners every year. A majority of the cleaners burden our water purification plants and the environment unnecessarily. This is due in part to using an excessive amount of chemicals and that many of them are very toxic. Some cleaners also have ingredients that interrupt the biological decomposition process in purifying plants. Ingredients that are not taken care of in the process go straight out into the environment where they damage the ecosystem. 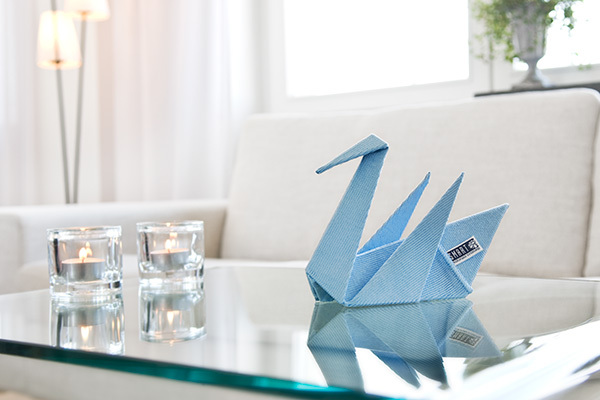 Smart are proud to be able to offer the widest range of Swan labelled microfiber cleaning products on the Nordic market. We view this as confirmation that we are heading in the right direction when it comes to creating the most effective cleaning tools, without compromising on environmental concerns. The Swan is the offi cial Nordic Environment Label. Swan labelled microfiber cleaning products must be able to have a proven effective yet gentle cleaning effect while continuing to maintain the same high quality wash after wash. Environment and health requirements also apply to production. 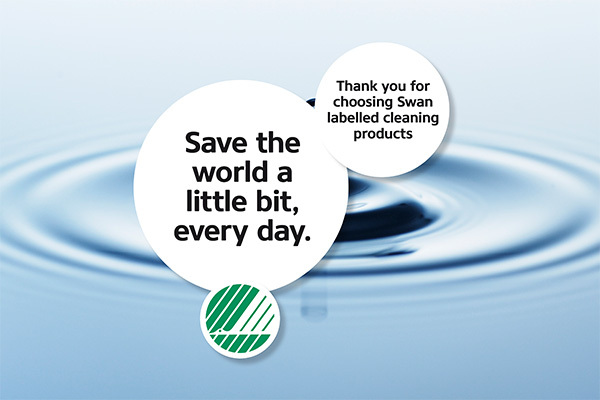 Smart Microfiber is proud to partner the Swan campaign Save the world a little bit every day. The campaign message is that we should all do our part. All of us, Swan license holders like us and consumers can all help the environment by choosing wisely.